BOSS pride themselves on creating original and bold products that allows musicians to create new sounds and develop their individual character. Creativity, innovation and originality are what drive the BOSS pursuit of perfection! 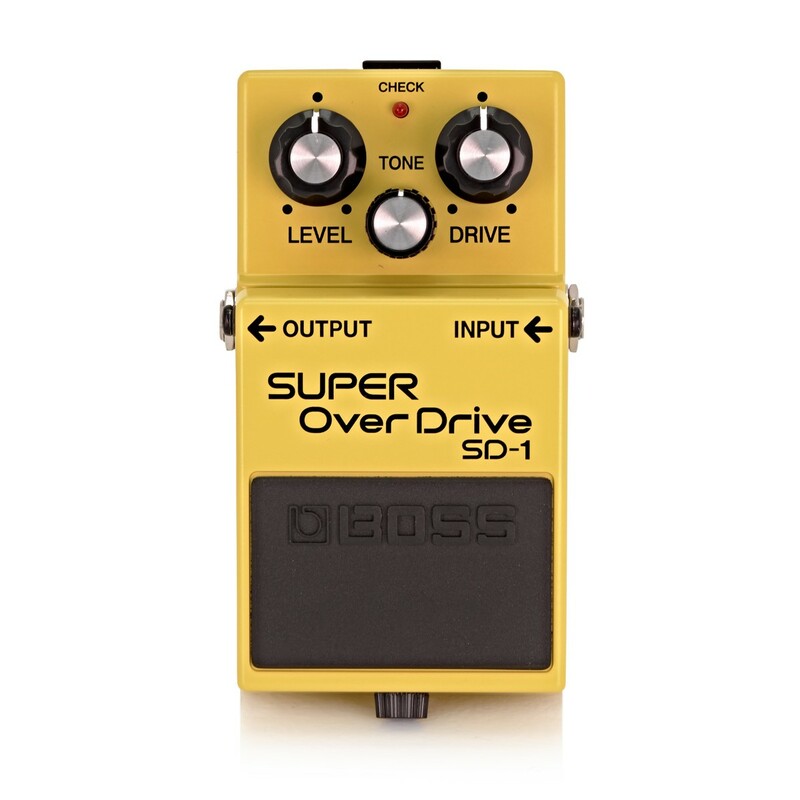 BOSS overdrive and distortion pedals are famous for their rich, aggressive, and expressive sound. The SD-1 Super OverDrive pedal uses BOSS' asymmetric overdrive circuitry for warm, smooth overdrive sounds that respond to your picking style just like a tube amp. 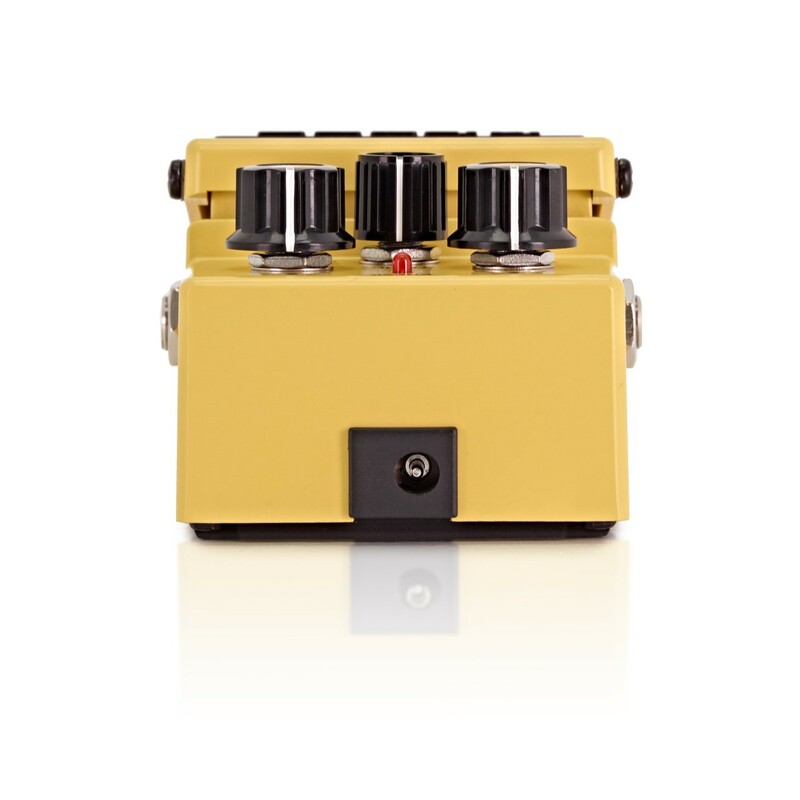 The SD-1 includes a Tone control so you can dial in just the right sound. The AC Adaptor jack enables continuous battery free operation so you'll never be caught short. The clear indicator display shows effect on/off status along with battery check and when you do need to replace the battery the process is quick and easy. The smooth electronic foot switch provides noise-free on/off switching. To produce a mild overdrive sound try setting the Drive control at a low level and avoid high tone levels. This is great for a real bluesy sound. 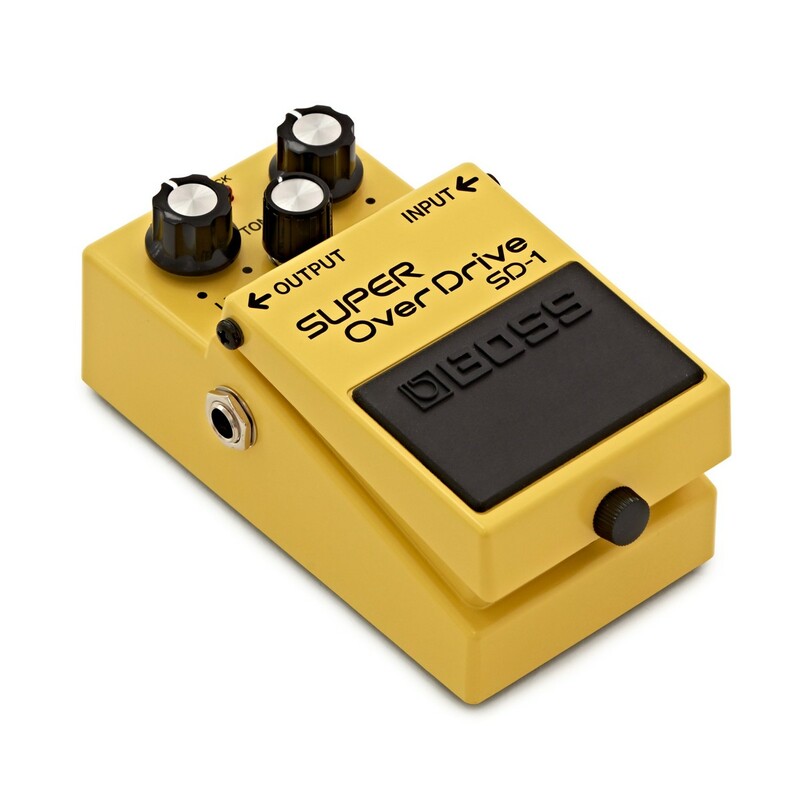 To produce a hard overdrive sound turn the Drive all the way up and boost the highs with the tone control. To use the SD-1 as a booster set the Drive low and crank the Level all the way up. 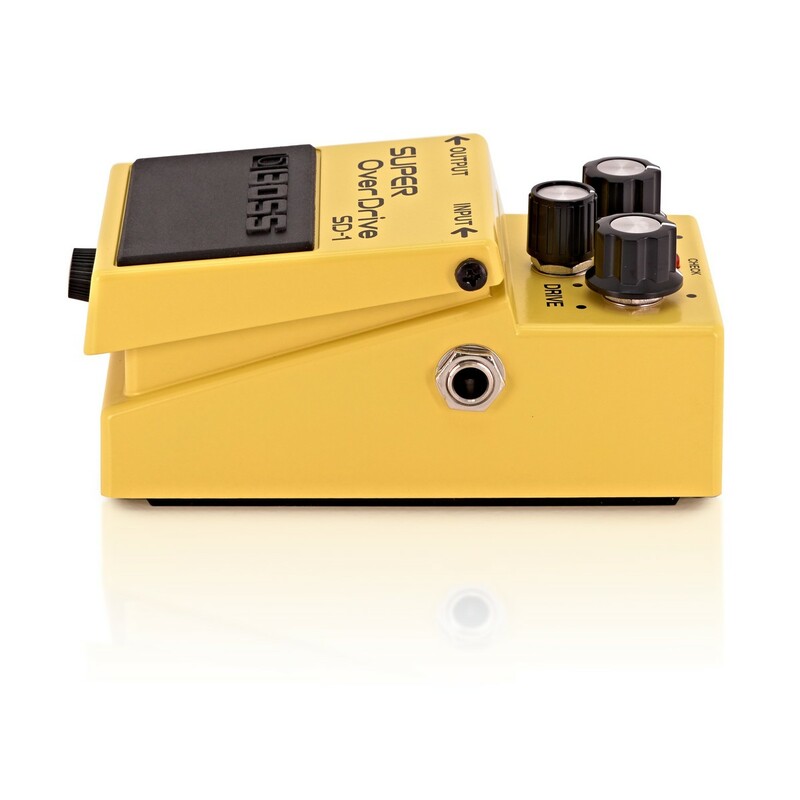 This means the pedal functions as a gain booster, augmenting amp distortion and providing deep, thick sounds. Weight ( incl. battery ): 0.4 kg, 0 lbs. 15 oz.